Earlier, when there used to be a blockage in sewer pipes or drain at anyone’s home, people use to call plumber for diagnosing the problem. As there was no such technology like video pipe inspection at that time, the plumbers had no other option than to dig out across that pipeline and look for damage or blockage. It would take hours to figure out the exact location and the cause of problem after causing huge damage to the expensive flooring or walls of your house. At the end, people used to pay heavy bills to the plumbers for major sewer repair services. Then came an innovative gift of advanced technology, the video pipe inspection, which created revolution for plumbing services a big way. Now, there was no need to dig out the entire area suspected of blockage or damage in pipe. Through video pipe inspection, it has become so easy to figure out the exact location of the problem related to plumbing. 1) Locates the damaged area: The very first major advantage of doing video pipe inspection when you suspect pipe leakage at your home is its ability to locate the exact position under problem. Once the plumber knows where the leakage exists, he will dig only that limited area to repair the damaged pipe. This will help avoiding unnecessary digging of floors and walls and reduce overall expenses on sewer repair while providing best sewer cleaning services in NJ. 2) Locates the cause of blockage: In a house where children exist, it is quite common to face clogging of sewer pipes or drains. The kids do throw one or the other thing into sewer pipes accidentally or sometimes intentionally, which ultimately causes blockage in pipes. 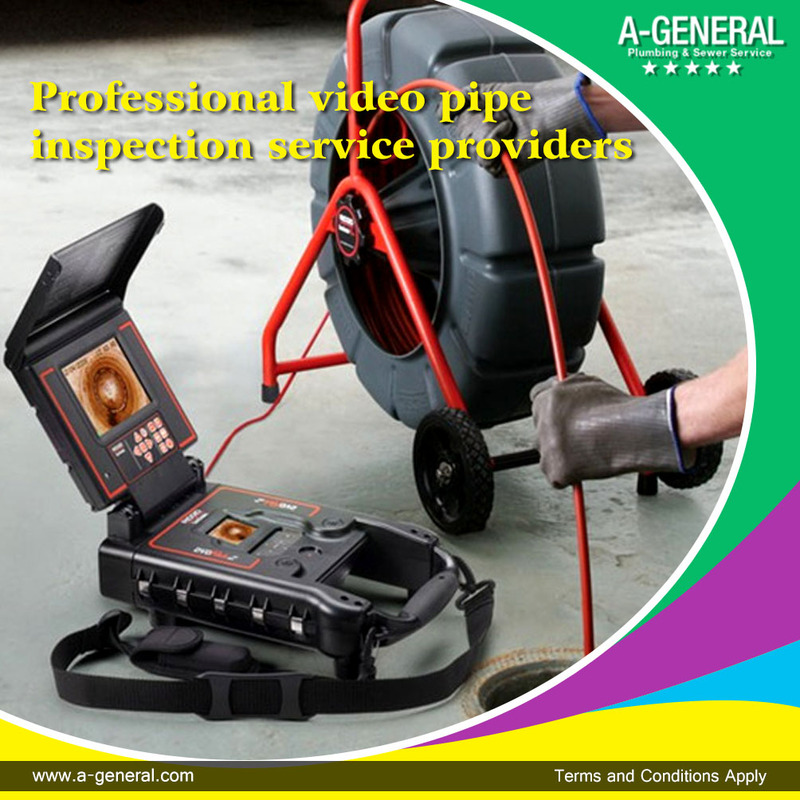 In such situations all you need to do is hire video pipe inspection service providers through online appointment for sewer cleaning in NJ to find out the exact cause behind the blockage. It will not only clarify the true reason of blockage, but also saves a lot of time and resources. 3) Prevents major situations: Generally when people face any blockage in sewer pipes at home, they do try various home remedies to clear that blockage. Such remedies may solve the problem for temporary basis but, there is a possibility that your ignorance may lead to some serious issues with time. So, instead of relying on guesswork it is highly recommended that you opt for video inspection of pipes from time to time and prevent emergencies. 4) Saves time and money: In today’s world it is extremely important to value both time and money. Opting for video pipe inspection for maintenance of sewer pipes and drains saves your valuable time and money being cheap sewer cleaning services in NJ. Therefore, it is always beneficial to hire some professional video pipe inspection services for repairing any damage or blockage in home sewer pipes. The next time you will find any problem in sewer pipes at your home, better go for video pipe inspection first. It can save you a lot of repair bills through sewer repair services at your home..